Probably because our season is more like a marathon instead of a sprint. I think we are in for a treat this year because we have the talent/experience to bring in many extra plays all throughout the year. I believe Bill is focused on using more elements of surprise this year than in past years. Realize how tough it has been on Bill to accomplish something like this in past years. Now with Doke gone, he really only has to coach-up Josh from an “0 to 100” path. Think about how tough it was to build a big toolbox of plays with guys like Diallo on the roster? Not trying to blast him… but this year, we have a better base of experience and less key newbies to dominate practice time on the basics. We will have to be far more advanced than just a team executing basics this year if we hope for any kind of run in March. There are several well-coached teams and lots of talent out there. This will definitely NOT be a cakewalk in March, even for teams like Duke who clearly get favored status in the brackets. Check out teams like Villanova. They are already in March form and will only get better. So long as I don’t get seduced into thinking he is ready to do it for a full game yet, when being schemed against by opposing.coaches. The peril of efficiency numbers is always the implicit assumption that the guy could do for 35 what he does for 12-20 mpg. My hunch is: if Bragg could do it for 35 mpg, that this team would already be a 3-2 hi-lo team that mixed in some 4-1. I reckon Self wanted to work Bragg in slowly anticipating some growing pains, which he started to do; then Bragg tripped at the party; then Doke went down, Self had to make a choice about whether Bragg was ready to start and be schemed against, or whether 4 guards and Landen were the better bet with Bragg filling 5 and 4 without being schemed against. Since Self appears to have made an effective choice in terms of wins and losses, it’s probably logical to assume he was also right about Bragg not yet being ready to be schemed against as a full time starter. Bragg will grow this way and probably be back next season with Doke and form one Self’s formidable tandems inside. Bragg’s PER numbers already demonstrate he can wear the weight and produce. Now it’s just about filling gaps in his game and becoming a lottery pick next season. Self is making Bragg into a complete player this season before he relies on him for that next year. Self knows any good defensive coach can take away a player’s best move, if he schemes to do so. As a result, if a team is to rely on a player, he has to have a second move to fall back on, or else a team cannot cornerstone its scoring on him. Bragg must lack the backup move. Yikes! Do you really think Bill would have ditched our current hybrid motion offense? I get the feeling like he will never go back to his original hi/lo set. It is just way way way too limiting and basically kills any chances we have of recruiting the best guards. Times have changed… even since 2008. And it gets harder to find big men willing and wanting to develop back-to-the-basket. Most big men recruits think they are the next Kevin Durant. At least Doke knows his bread and butter is down low. Heck… even look back to the Morris twins. They didn’t want to play back-to-the-basket. Marcus was definitely wanting to run motion offense and Kieff really liked jacking treys. Going by what Self said about thinking 4 Ball would not be what they would be playing in March in JNew’s story awhile back (pre Doke injury), yes. As Self has proven repeatedly, he will abandon any scheme to get the best and most ready 7-8 players on the floor. Fans just sometimes disagree with him on who those 7-8 are. In turn, they used to think he was not changing when he should. But now we know he is quite flexible and willing to change, when the best 7-8 need something else. Nike has stopped the long stacks for some strategic reason. And adidas has spent more big bucks. And once Coach K and Roy are gone, then Self is increasingly the only sensible place to go for 5-star bigs to develop. UK should still get the OAD 5s. But think what Self could do with Coach K’s and Roy’s 5-stars. adidas could load him to the gills if they make Self their destination coach, as they appear willing to do with Wigs and Josh. I believe the real reason for developing the 45 degree angle wing chop is to get more scoring out of the OAD 3s, like Josh, and eventually blend it with tandem 5-star bigs playing hi-lo. If guards and wings are all adidas delivers, 4 ball continues. Not if not. If Doke and Bragg return healthy, and two more bigs sign, then it’s back to hi-lo inside hopefully with the 45 degree chop outside. I was guessing, since Maxwell bugged out, Self figured two more good bigs were coming. But it could, I suppose, also mean they aren’t, and Self told Maxwell we will be playing 4 Ball again next season and you are not needed. Either way, Self will never turn down an inside game of two bigs if he can get 4. He tried to bring in enough bigs for this season to play 3-2 hi-lo, but injuries stopped him…not a love for small ball. Small ball still appears just what you do till you can get big again. The change coming appears to be hi-lo inside combined with the 45 degree outside chop. Maybe this is what you mean by hybrid motion? Regardless, this 45 degree outside chop will work better with double posts and three guards than with 4 guards and 1 post, because it can mirrored with ball reversal with the back side post man always in position to rebound. The 45 degree chop is just being added the same way pick and roll were. @HighEliteMajor Using another past KU 4man as an example: Bragg is a 6’10 version of DJax. Efficient glue 4 perhaps soon, but not top tier yet…nor isnt quite MkyDAA good, yet. Ellis was smoother around the rim. I think Bragg is finding his way to becoming an impact player. He is the perfect face-up hi-lo 4man to the traditional 5role of LL. Look for Self to continue to develop that hi-lo efficiency…which will then allow us to play effectively as a 3+2 team, as well as the new 4-1 development. Its like Self could throw a B-level version of his hi-lo at someone, then switch up & hit em with this A-level version of 4+1. That’s what I am afraid of. I’d rather stay fast. When you look at rebounding margin, according to the NCAA site Indiana is #1, Texas Tech. #6, Baylor #18 and KU #29, so we will play at least 2 decent rebounding teams although Tech. does not have all the other needed tools but Baylor will be a load. I believe the bad rep Bragg is getting is the result of high expectations. Everybody thought that this season he would dominate and he has not not done so; his numbers are good but not what was expected…unrealistically as it might have been. @JayHawkFanToo That’s regular season, not NCAA tournament. I’m not concerned about elite rebounding teams in the regular season because a loss in Lubbock or Waco doesn’t end KU’s season. I’m more concerned about elite rebounding teams KU could see in the round of 32, Sweet 16, or Elite 8 and there’s no chance KU plays Texas Tech or Baylor in those rounds. Teams more along the lines of Wisconsin, Purdue, Utah, St. Mary’s, Xavier, Cal, Oregon, Miami, Virginia, Seton Hall. Those teams KU could end up seeing pre Final Four that could cause headaches for KU because of their rebounding. That’s not even throwing in Villanova or UNC who are each top flight rebounding teams as well. @JayHawkFanToo You don’t lose your starting job the way Bragg did by playing well. He came out of the gates playing like crap this year and deservedly lost his starting job to the Vick/Svi combo. As for the rebounding, I’m well aware of where Villanova and UNC stand. That’s why I called each a top flight rebounding team, but I’m not concerned because the odds of KU running into either team before Phoenix is very slim. I totally agree. He was a 4 star when Self signed him. He is right on schedule for big man who had to add 40 pounds and learn a new way to play in D1. Strong second semester soph year rotating for a starter, then starter as a junior. Self never wants to be big and slow. The Morri were big and fast. Shady and Darnell were big and fast. Big and fast beats small and fast most times. I never liked Nebraska football much, except when Devany took a big slow team to play Alabama and got clubbed by a small, fast Bryant team, and learned the right lesson. The next season he recruited big fast guys and he worked his big returning guys on quickness drills, and played the same small, feisty, lightening quick Bama again and beat the crap out of them. Devaney was asked what changed? He said we learned our lesson. We decided to get big AND fast. And big and fast is usually what it takes to grab the ring. @jaybate-1.0 word you are leaving out is tough! As my Marine Major dad used to say, tough is useless, unless it’s tough in the necessary way. It is a question of relativity. Other factors… coordination, for example. How does that fit into your definition of “fast?” Little guys can pivot like Barry Sanders did as a running back. Straight line speed in basketball is most relative to open court ball. What I’m most referring to is pace. Our 4-guard offense, at times, moves quicker than any team we’ve had on the floor in a long while. Increasing pace makes a huge impact on the game, including how we use our bigs. What has helped Landen adjust isn’t just Landen stepping up with the pace. Our team has slightly slowed down our half court offense to accommodate our big guys. I’m most curious of what would happen if we ran a 5-guard offense. I wish we had one more star guard… Having two or so guards around 6’7"-6’8" doesn’t really mean we are playing that small. It is all in relationship to what else we can run. That lineup might hurt us slightly on post defense, but we should be more than able to adjust rebounding and probably outperform where we are now. I’m just dreaming of a 5-guard team. Not gonna happen here at Kansas. @jaybate-1.0 different than what I mean. Comes from within! @jaybate-1.0 Do you remember how slow Sash Kaun looked on the court? A lumbering giant. Then I saw him at the barnstorming event playing local hs “studs”. He was faster than the guards and only took 8 steps or so to traverse the court! It really gave me a new appreciation for the speed KU plays at. The way I finish that sentence? Carlton Bragg is a great fit as a compliment to the four guard lineup if he rebounds effectively and scores in the low post area. With the four guard lineup, Bragg has to handle the boards against the other team’s best rebounder. As the only true big, he has to at least be even from a rebounding standpoint because he is the solo big man. IF he does that and can outlet quickly to our guards, Carlton has a huge advantage running the floor against most 4s and 5s, so he can rebound, outlet and sprint for dunks or offensive putbacks on the other end. The problem is that I get the impression that sometimes Bragg doesn’t want to bang, even though he is big enough and strong enough to do so. You have to want contact to some degree. It’s the reason some guys settle for jump shots and some guys are like Frank Mason. Bragg just needs to face guys up and use his quickness. Instead of posting deep, he should post up a step or so further out. Because he’s a good shooter, guys can’t just let him catch at 12, because he will hit that shot consistently if they don’t go out with him. Once he catches there, he can give a pump fake and then go to his bag of tricks. Jab step. Spin baseline. Spin middle. One bounce and jump hook to the middle. Blow by for the reverse. While Bragg does have strength, against most big men his MUA is his quickness. Defensively, he should try to bang, but offensively, he should look to use his quickness against big men, his power against guards (since most teams will have to help with a guard if Carlton beats his man in the extended post). @drgnslayr I do think a five guard offense is definitely possible in the right circumstance. Look at what Self has done in the past two years as far as flexibility. Who would have ever guessed after the odd inflexibility of 2014-15? It’s all about match-ups. The difficulty is the age old quote from Self used to be the end of any statement on playing small – " …, well, I don’t know if we could guard anybody." Is Self an offense first guy now? Or at least ok with the idea of outscoring someone to win? The only real issue with five guards is defense in the post. But geez, I’m happy with four guards. Perfect match for our talent. Best guys on the floor. But I would not foreclose the chance that Self goes with Mason, Graham, Vick, Svi, and Josh together in important stretches. Would you rather have that, or Coleby on the floor just because he’s thick? Depends. And as @justanotherfan analyzes with Bragg, with Bragg’s quickness, that could be a big MUA with him at the five. Bragg is a stretch the floor big with the best mid-range game we’ve had in a big since Arthur (Ellis was more going to arc). Sometimes I think it is all about semantics. If we have two guards that are 6’8"… and we go up against a team with two post players 6’8"… aren’t they the same height, and approximate size? I know the skill sets are different, and maybe their physicality differs. And if it is a mismatch on one side of the floor, isn’t it also a mismatch on the other side, too? Shouldn’t we evaluate the “net impact” to decide if it is worth running? That’s how I view it. There is the obvious focus on match-ups… but we have to consider the overall impact it has in other areas… team areas… like pace. Concerning Self being more offensive minded… I think he is seeing things differently than in previous years. I haven’t heard him mention wanting a grind game in a while. Even though his philosophy on that is solid, it doesn’t rub the political side of his job right. When we have one of the most-prolific trey shooters in the country mostly riding the bench and no offense to free him up for his shot, fans start talking. I see it all as “the path of least resistance.” If we can outscore a team, fine. Not only did we take a different approach to get the victory we also added a layer of unpredictability. I think a big chunk of Bill’s changes on the game have been brought to him through recruiting OADs. These players are not only looking for PT minutes in a school, they also want to see a turbo-charged offense that will showcase their talents. When was the last time we heard about a player being OAD material because of his defense? We have to be geared towards big offense if we want to jump deeper into that world or even maintain where we are now. What I am curious about is how Bill will look at March this year. Will we continue to be one of the most-predictable teams in the tournament? I do really believe in the tag I gave Bill, “Riverboat Gambler.” It isn’t a slam on Bill, but actually a compliment on his intelligence and how he attempts to deflect and confuse the world outside of Lawrence. I’m thinking he is ready to mix it up a bit in March. Not sure we will see a zone unless we have severe foul trouble… but there are many things he can throw at our opponents. Now that’s a fascinating question. Now that Self is surprising us by running with four guards, would new wrinkles in March be too much to ask? This seems like a big year of transition and experimentation for Self. I’m guessing this team will be tougher to scheme against in the tourney than any in recent memory. I hope we see that Mason-Graham-Vick-Svi-Jackson lineup at least once this season. That lineup is something that no other team in the country can match up with. I would like to see it tonight, honestly, during stretches where DJ Johnson goes to the bench. The other interior players aren’t thick enough (or skilled enough) to overwhelm Svi and JJ. We could go to that lineup for a stretch and really throw KSU for a loop. @justanotherfan I like it on offense, but on defense I think somebody has to play completely out of their comfort zone. I am afraid a two-bigs team would eat us up with passes to the rim. @HighEliteMajor Our behind the scenes stud, Jesse Newell posted a great article about this Ummm, early december? Perhaps, but how many teams out there honestly have even one big that is dominant enough to score at will against Josh or Svi? Take DJ Johnson for example. He’s a good player. But if he were matched up against JJ all night, could he post a 13-18 from the field, 8-10 from the line, 34 point, 17 rebound game? Because if he can’t be that efficient and that productive, it’s a wash for KSU to change their attack to force feed him. Johnson averages just over 7 shots a game right now. To get 18 shots, he probably needs 25 quality touches. That takes shots away from Iwundu, Stokes, and Brown. And since he’s KSU’s best rebounder, if he isn’t getting his own misses, that’s probably one and done on the offensive end for them. I’m just not sure most teams have a big man skilled enough to actually punish KU for going super small, especially on a volume basis. Does Johnson have the stamina to attack Jackson in the post on literally every possession for 6 or 7 minutes at a time, plus guard someone faster and quicker (and rebound!) on the other end? He only plays 24 minutes a game as it is. I don’t think he has the stamina to actually attack Jackson efficiently for a long period of time. And if he can’t, that advantage shifts back to us because Johnson has no chance to guard out on the perimeter, and he can’t protect the glass if he has to guard 20 feet from the rim. @justanotherfan sometimes a faster guy can get around a slower post guy, be fun! Svi and Josh could take turns depending on fouls. We always had to sit withey against mizzou cause of faster post guys. @drgnslayr Without a doubt–HCBS is what he is…done deal . @justanotherfan Waaaaaaaaay outside the box. I friggin digit !! Sounds much like it has an entirely valid opportunity to be successful. Everyone else in the nation is expecting an Okie State, always predictable Hi 👋 Lo from the ever predictable HCBS…I also think he’s 'fully aware how critical this tremendously rare guard play is in relation to a NATIONAL CHAMPIONSHIP & hopefully has the vision to ride this JJ, FM111, Devonte Graham & Svi train all the way to another Final Four. As usual you show a perspective that not only transcends possibility but enamors probability. Great analysis and this forum thanks you. Bill has had a lot of influence recently from people and events. Fred Hoiberg, friend and rival that fully employed the scheme. So many matchups against spread offenses. The shot clock reduction and KU playing in the WUG. Self got to trust his guys to make plays with less structure and the shorter clock made him believe in quicker offense to more possessions and playing with tempo. The Villanova game. Might have been the tipping point of it all. Going down to guards and one big had to fundamentally hurt him inside. @Crimsonorblue22 FYI but Mr Hoiberg finds his little keister on a bit of a hot seat right now. … Chitown, NY , & LA are three spots Mr Smalltown might get only a whiff at being successful in lieu of a one year unacceptable record. Having watched last night’s game, I am even more convinced that we should go with a five guard lineup. We aren’t a strong post defense team anyway. We just aren’t. We don’t necessarily get demolished down there, and we are solid on the glass, but we aren’t gaining any advantage by playing a traditional big man, and I’m not sure there’s a team in the country that can match up with us if we go small like that. Jackson did whatever he wanted when Wade was on him. Svi got good looks when they put Wade on him briefly. There’s just not a real way to guard KU when they put those five out there together because most team’s don’t have perimeter size to handle Jackson and Svi at the same time. Jackson would destroy a 6-5 guy in the post because he’s a scorer, and if you go super small, Jackson gets to do that. We might as well push this small ball to its eventual end, which is the Mason-Graham-Vick-Svi-Jackson lineup. I just don’t know that there is a big man that can actually beat us if we go small because what we might give up is more than balanced by what they sacrifice on the other end (defensive rebounding, ability to guard on the perimeter, foul trouble from having a guy that isn’t used to guarding on the perimeter having to cover a guard, etc.). We have the talent to do it. The matchups are favorable. @justanotherfan That makes sense… and yet I’m kinda diggin the way Lucas has been playing recently, Big 12 Player of the Week and all. If he gets even better, watch out! My idea isn’t an indictment on Lucas at all. He was excellent last night. Lucas would still have a very significant role. The reason I like it is because it really puts a lot of pressure on the other team’s big men. You have to bang with Lucas, then chase around Jackson or Svi, then go back to banging with Lucas again? That’s a huge advantage for Lucas to catch the opposing big after he’s been worn down for a couple of minutes, or go against the backup while the starter is on the bench getting a breather. There’s actually a chance that this makes Lucas even more effective. Same with Bragg and, to a lesser extent Lightfoot. @justanotherfan who spells these 5🤔? Those 5 already lead the team in minutes, so it’s more about adjusting the rotation and rest than changing up who plays. Frank and Devonte both rest for less than 8 minutes per game each. JJ plays nearly 30, and that includes games where he’s played less than 20 due to foul trouble. Svi and Vick both play over 25. I wouldn’t play this group together for long. Just a 4-5 minute stretch in each half. It just alters when guys are coming in and going out. Sometimes you go back to a traditional 3 out, 2 in set from the 5 out set. Sometimes you go from 5 out to 4 out, then 3 out. Since our 5 perimeter guys already play a ton of minutes, it doesn’t change much, just the sub patterns. @justanotherfan lets do it! Frank was playing great post D on wade! Sooooo yeah Bragg’s defense last night was a bit of an issue. 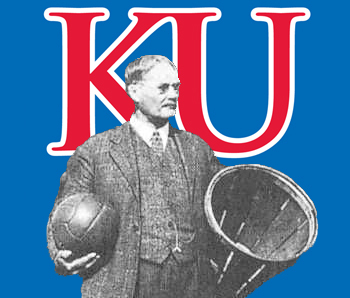 I understand mixing it for a while to confuse the other team but without Lucas, KU probably would not have won. I’m not advocating to play Lucas less. Between Lucas, Bragg and Lightfoot, they played a combined 46 minutes. You could play the 5 guards together and still have Lucas play just as much as he did last night. An added bonus of playing the five guards together is that Lucas and Bragg would play together more. Bragg showed a nice ability to throw that high low pass last season. Playing Bragg with another big may help Carlton be more effective as well. My idea is not about cutting anyone’s minutes or anything. It’s about mixing up who is on the court with who to see if we can use the 7 guys that get the bulk of the minutes to create the best matchups for us (or the worst matchups for the other team). For example, TTech doesn’t really play anyone bigger than 6-8 regularly. Their 6-8 guys aren’t all that bulky, either. That means that we can show the smaller lineup without getting blown off the blocks, but that Landen has a size advantage inside as well. We can wear down their bigger guys by making them guard the perimeter, then let Landen feast on them when they have tired legs in the low post. We can alternately punish them with speed and strength. Landen is a critical part of that equation. He comes out so that we can run them down, then goes back in and punishes them with his strength and size. We can draw fouls by out quicking (for lack of a better term) them, then draw more fouls by catching them pushing Landen in the post once they are too tired to get quality defensive position. Alternating between the two gives us an advantage by making the opposition adapt to our lineup in real time. @BShark everyone’s defense was a bit of an issue - wasn’t just Carlton. You can’t really stop a jump hook when a guy gets that kind of position. @BeddieKU23 great points about the teams Bill has come across and the influence they had on him. I recall Hoiberg even stopped by his office one time and talked with him about playing 4 out 1 in. "I am even more convinced that we should go with a five guard lineup. " That’s how I feel. But we have to get our guys to totally buy in to this because we have to speed up our defense and really hustle in order to keep other bigs from getting easy passes into the low post. I am liking how Landen is playing… and Carlton is starting to come around. But how much pace do we have to kill to keep those guys effective?